„Die Welt“ ( a German newspaper-magazine) describes Christian Bremer to be more pleasant than Bill Clinton. He is an author of various publications in the specialized press, a speaker, seminar leader and one of the most demanded serenity experts in the German-speaking area. His credo is: „Serenity is extremely easy to reach, if you know, how it works“. As a demanded speaker he presents various techniques, how to master life with less stress. His methods are guaranteed free from any esoteric effects. With all his sympathy and expertise, he does plain-talking and shows feasible solutions for a successful life without stress, pressure and anger. 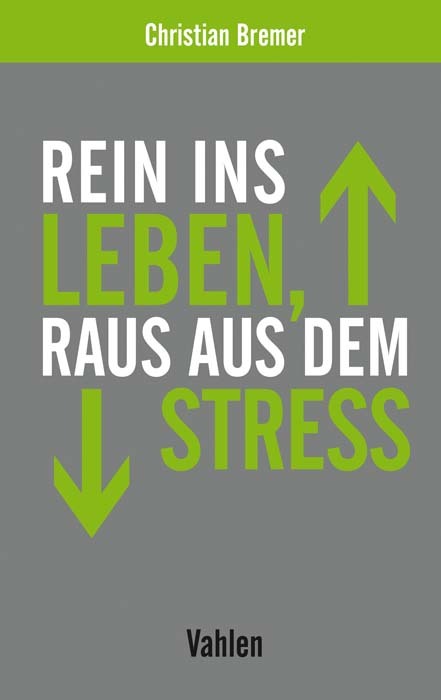 His clients include organisations from a huge range of sectors like Mont Blanc, Porsche or Siemens and they know that Bremer can turn every stressed personality into a calmly one. “I want to show my audiences, how easy you can handle the barriers in life”. Since 1992 he did above 4.800 trainings with more than 39.000 listeners. They love his enthusiasm, honesty, braveness, humour and the inspiring way he conveys his content. Organizers of important congresses and symposia such as CeBit, HannoverMesse, Leipziger Buchmesse or the Expertenzeit der Rheinischen Post invite him recurrently as a speaker. In 2013, he launched the innovative and unique “Day of Serenity” in Dortmund, in which now more than 500 persons are taking part every year. Since today he wrote five books and audio books. “Serenity wins” (published by Beck Verlag) is his latest top-seller. All in all he published more then 300 articles in German journals like FAZ, impulse, Business Punk, Manager Magazin, VDI, Nachrichten, freundin and Cosmopilitan. His philosophy as a speaker, author and seminar organizer: “We all face the same problems but need individual solutions”. His simple and convincing solutions are immediately understood and can be applied directly. After he successfully built a training company from 1992 to 2002, his batteries were empty – after 10 years without a holiday and constant 80-hour-weeks. His performance orientation, the desire for recognition and the inability to relax led him into a burnout. This painful experience made him aware of the importance of offensive serenity. He knew how to use it as an opportunity and has passed on his experiences, visions and strategies passionately for 15 years. About Christian Bremer: He was born in 1972 in Dortmund (Germany). Today he lives in Bochum (Germany) with his wife, before he was living in Los Angeles and Düsseldorf. You are looking for an agile and satisfying speaker with a clear message? Please send your non-binding inquiry via the contact field. The speaker brochure can be found here.